Before its urbanization, Paris and its region were major producers of wine. Some vines were planted here and there in the 20th century. During your walk in the capital, you will be able to discover some of them. Here is a sketch of the vines that you can find on both sides in Paris. 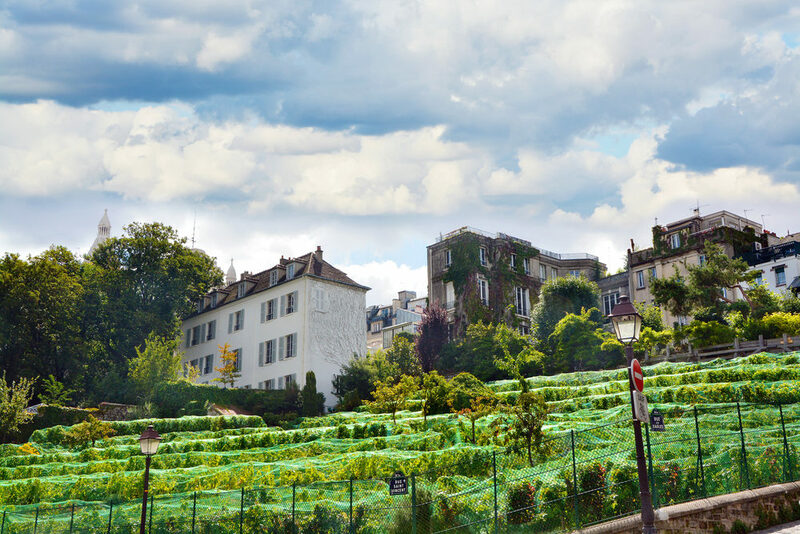 The vineyards of Montmartre are without a doubt the most famous. Planted in 1932, they represent 2000 feet. In the 19th neighborhood you will also find vineyards on the hill Bergeyre. It is a hidden corner at 100 meters altitude not far from the Buttes Chaumont. The planted vines result from a mixture resulting from a blend of Chardonnais, Muscat, Sauvignon and Chasselas. The Belleville vines were planted on the sides of Belleville Park in 1992. You will discover 250 square meters of Pinot de Meunier and Chardonnay vineyards and a superb view of the city not to be missed! The Pinot noir, miller and pearl vines were planted in 1983 in George Brassens Park in the 15th neighborhood of Paris. At the Park of Bercy, which was the largest wine and spirits market in the 19th century, you will find 350 feet of Sauvignon and Chardonnay on 650 square meters of surface, planted in 1996. You can also admire the orangery of the park and as his greenhouse, his kitchen garden and pergolas.